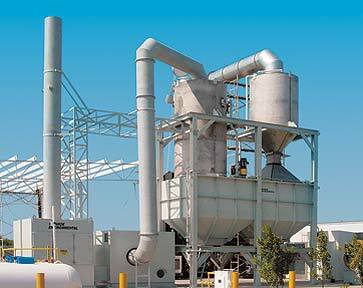 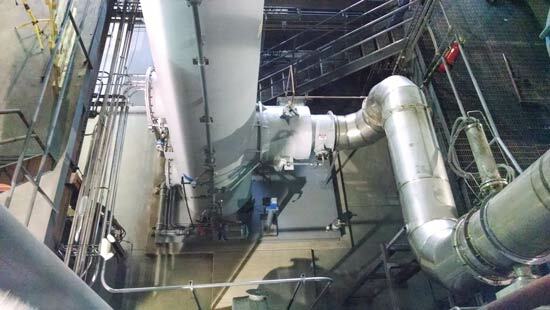 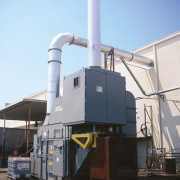 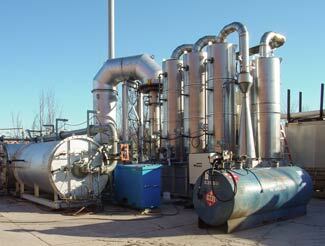 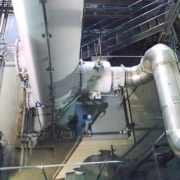 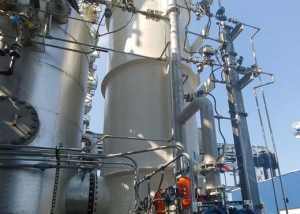 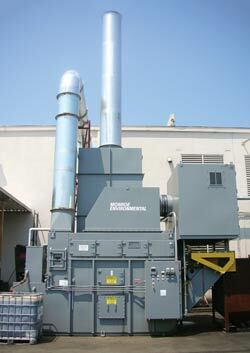 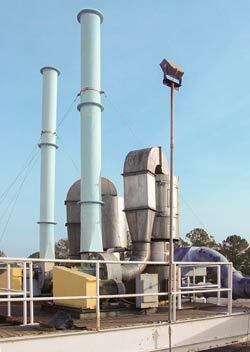 Monroe Environmental can provide complete multi-stage air scrubbing systems for a wide variety of applications. 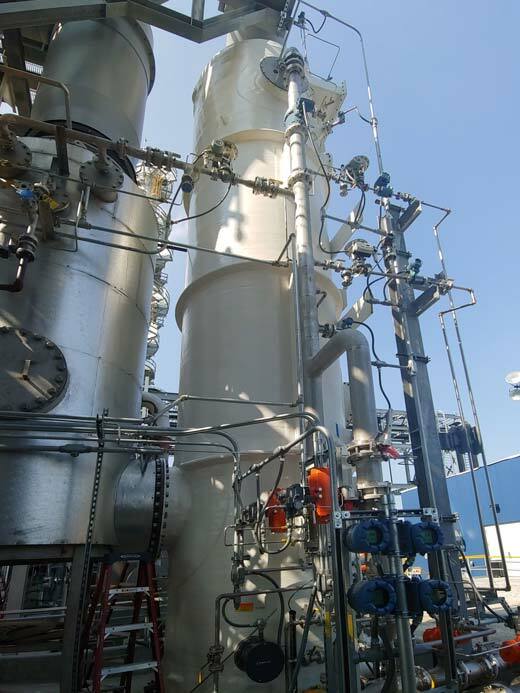 High temperature and volatile chemical processes often require a more complex, customized air scrubbing solution than what a simple packed tower scrubber or venturi particulate scrubber can provide. 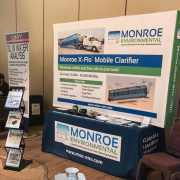 Monroe has the experience and knowledge to evaluate your process and recommend a customized scrubbing solution for your specific application. 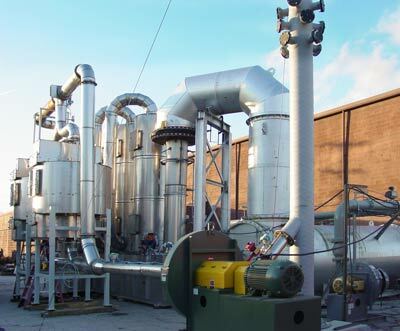 We have successfully treated contaminated air streams from nearly every high temperature emissions application across a variety of industries and processes. 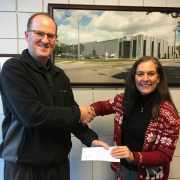 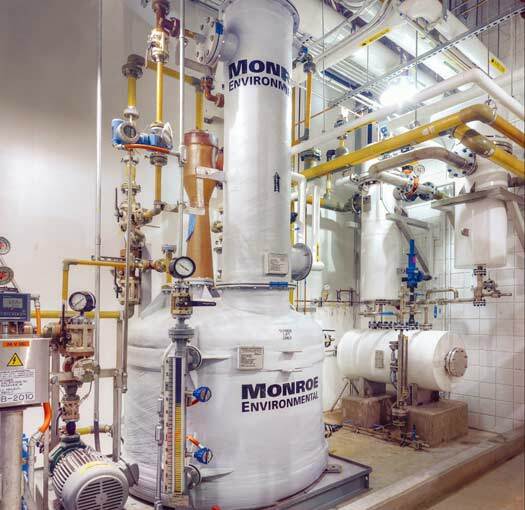 Monroe Environmental engineers analyze each application individually to determine the most cost-efficient, effective solution. 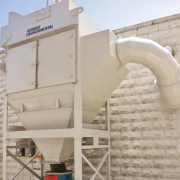 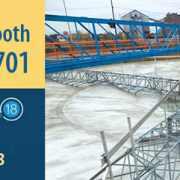 Monroe has an extensive arsenal of standard wet air scrubbing equipment offered in a variety of standard and special construction materials backed up by over forty years of experience in solving such complex problems. 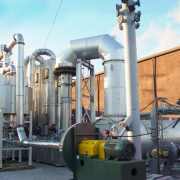 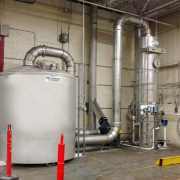 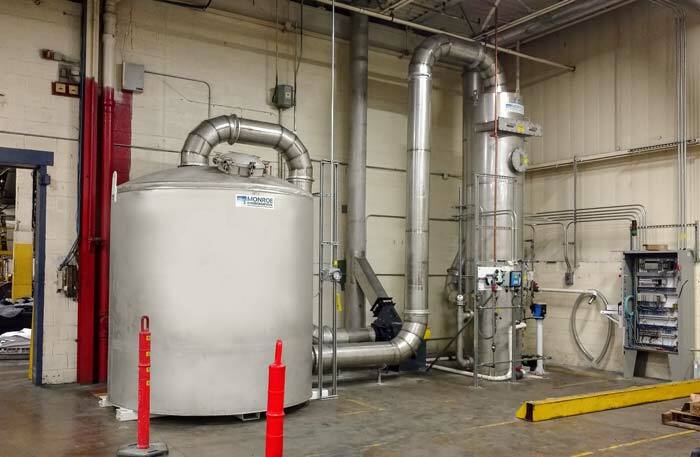 Monroe Environmental provides gas scrubbing systems for combustion processes including incineration, oxidation, flame laminating, glass coating, and other high temperature operations exhausting dryers, ovens, furnaces, gassifiers, reactors, and kilns. 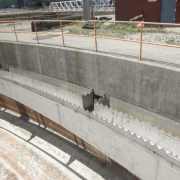 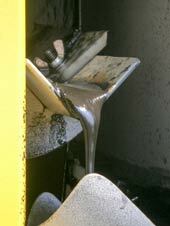 Contaminants formed in these processes are frequently highly corrosive, hazardous, and/or difficult to remove. 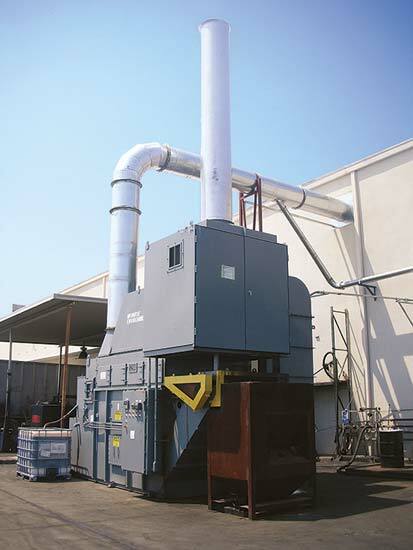 Removal often requires contaminant incineration at temperatures exceeding 1,500°F. Through proper quenching and gas conditioning techniques, Monroe can provide reclamation of costly chemicals and compounds contained within the off-gasses. 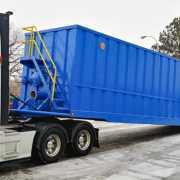 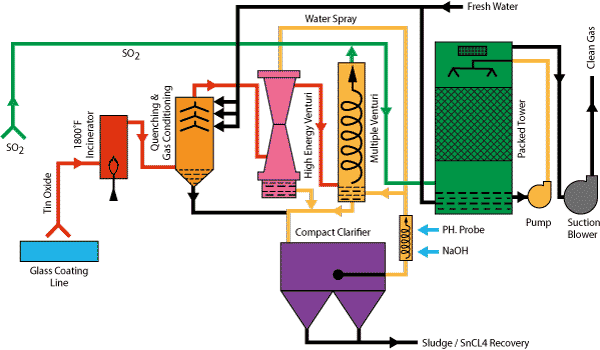 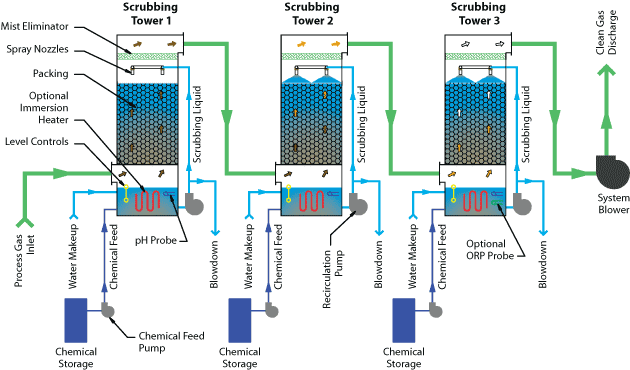 For some applications, multiple Packed Bed Scrubbers in series provide the best contaminant removal solution. 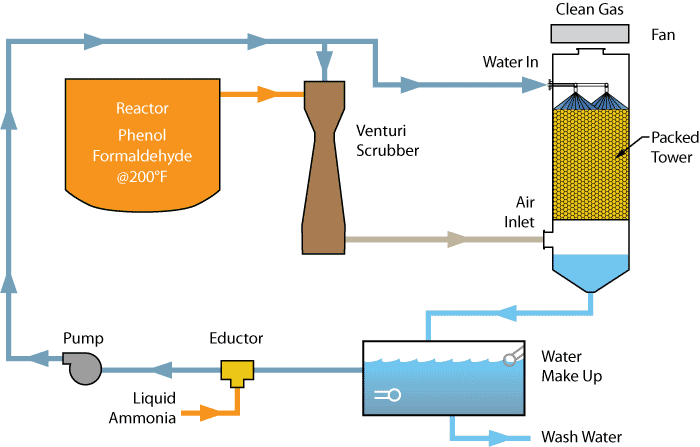 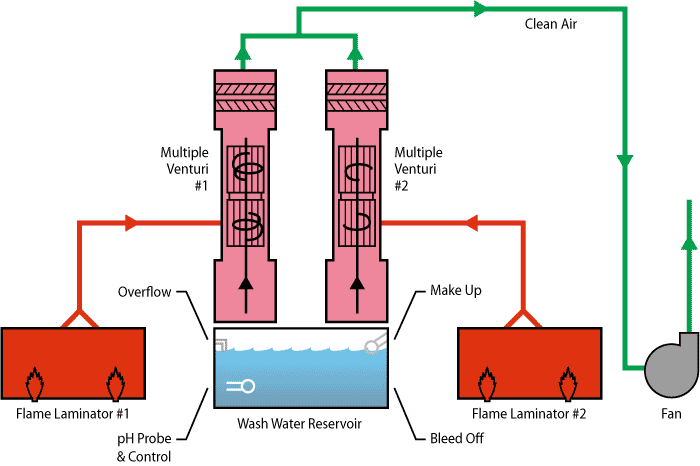 This type of scrubbing system is common when there is a high pollutant loading or when removal efficiencies greater than 99.9% are required. 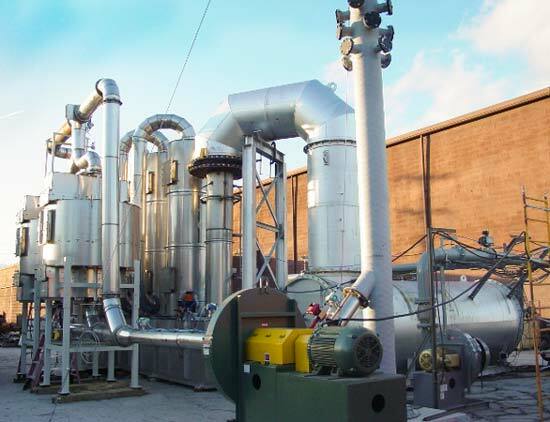 Having multiple scrubbing stages also allows the use of different scrubbing solutions within a single scrubbing system for removal of different contaminates within the same air/gas stream.